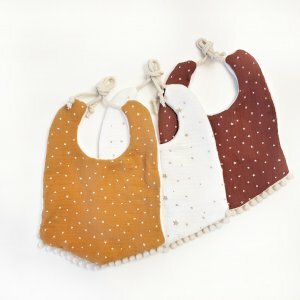 The bib does not have to be boring. 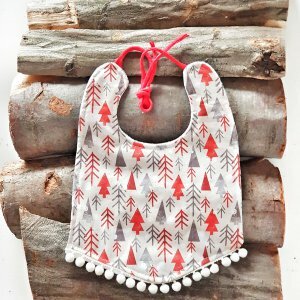 Take advantage of our ideas and give the character a festive styling, complementing it with a bib, so indispensable during feeding and teething. Christmas trees, pompoms, a delicate red ribbon is a perfect pattern for a Christmas meeting. Packaged in a box.